Key Distribution Center (KDC) is a central authority dealing with keys for individual computers (nodes) in a computer network. 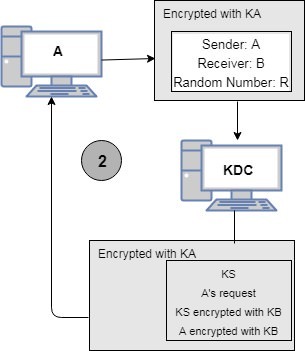 It is similar to the concept of the Authentication Server (AS) and Ticket Granting Server (TGS) in Kerberos. The background is that A has shared secret key KA with KDC. 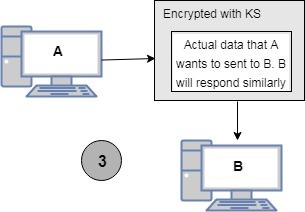 Similarly, B is assumed to share a secret key KB with the KDC. A and B can now communicate by using KS for encryption.